Metal arrows for Collabor88, curved arrows to wear as jewelry- choker, arm bands, and bracelets- and straight decorative arrows to rez as decor or do whatever you want with them. 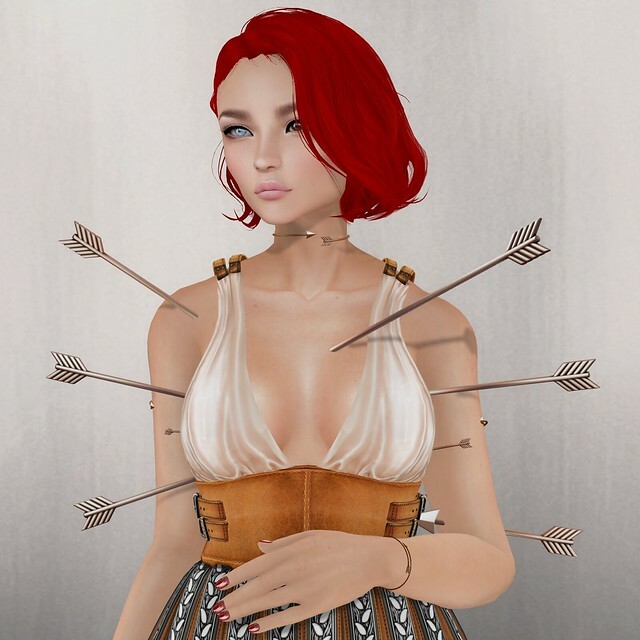 The jewelry features gently curving arrows to wrap around your neck or arms, and include versions mirrored to reverse them (including the choker if you wish the arrow pointing one direction in particular!). 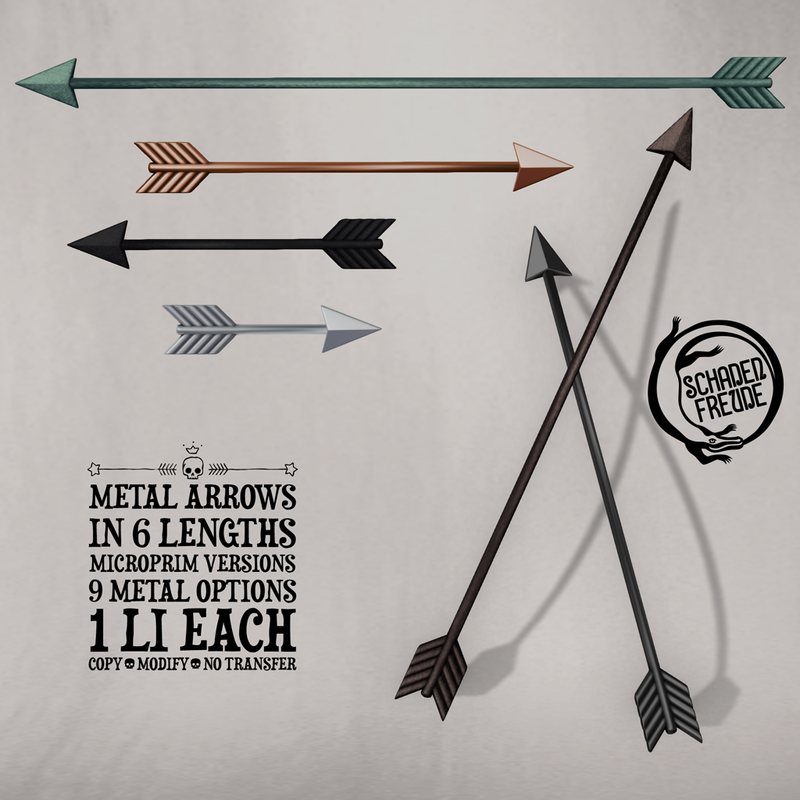 The decor arrows come in 6 lengths, and also include microprim versions for shrinking them way down. All come with 9 metal options, controlled with a HUD- shiny platinum, silver, gold, rose gold, copper, gunmetal, and hammered verdigris, bronze, and iron. At this April round of Collabor88 until May 6.